In the eighth grade my English teacher required that we start a journal of sorts for her class. We merely had to write about a page of thoughts in a notebook, and later she would return the “graded” notebook with a short response on our entry. I loved getting my thoughts down on paper, and this led to many years of journaling. I estimate that I documented most of the days of my life between 1985 and the early ‘90s, from middle school through post-college days. After college life became busier, with employment, marriage, and eventually parenthood. I occasionally would journal, but not as much as I did in the old days. As 2018 was on the horizon last year, I made a New Year’s resolution to journal. This year has been one that I’ve been anticipating for quite some time, as it has included my elder son graduating from high school and moving out into the world. I also brought a new puppy into our family, a huge first for us as well. For every day for the bulk of this year, I have once again been journaling my thoughts and events in our lives. As the summer waned and my daily life changed quite a bit with the onset of our puppy and my return to graduate school, I haven’t been as diligent in journaling for the last couple of months. My hope is to finish out the year with summary thoughts, and hopefully daily journaling in December after my final exam. 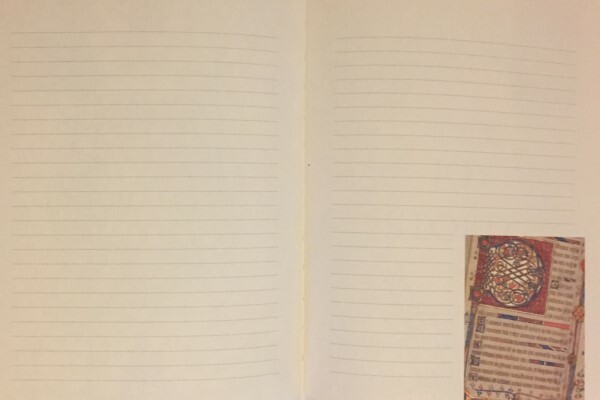 The first thing that I noticed about this journal was the front and back cover. It’s a hardback, but it’s an extremely thick and rigid one, with wonderful imprinted textures, colors and foiling. The spine is bound with cloth, with an elastic loop attached for keeping a pen, and the book is designed to lie flat when in use. 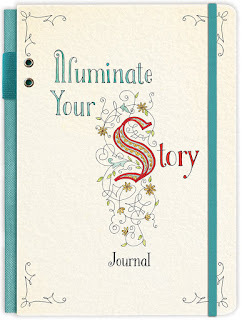 Looking inside the journal, you’ll find pages of various types. They’re all printed on quality paper that feels like it would resist bleeding if liquid color is used, such as a felt-tip lettering pen. 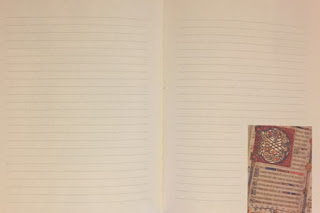 Of course there are blank, lined pages for typical entries, but they are often paired on the opposite side or in the corners with beautiful artwork by artist Krystal Whitten. Like the Faith & Lettering journal, the Illustrated Word journal has a similar cover, with a strong composition, imprinted textures, colors and foiling. The book can also lie flat when in use. 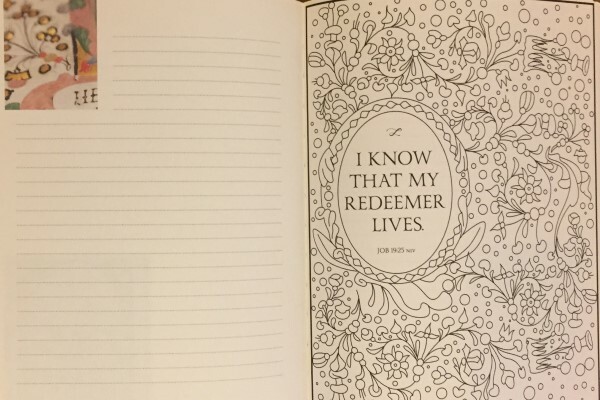 Of the pages to be used for journaling, half are plain lined pages, and half include full-color illustrations from the archives of the Museum of the Bible in the corner of the page. For forty of these illustrated pages, the opposite facing page has a coloring page inspired by the ancient art in the journal. The coloring pages are not like the coloring books created for children. 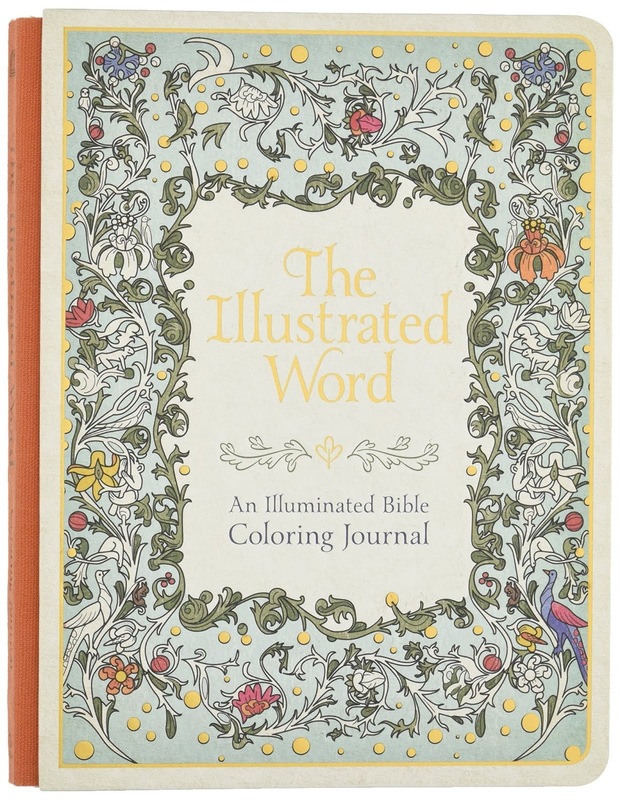 They are more in the vein of the adult coloring books that have become popular in recent years. For someone like me who does not have the talent to draw complex images like these, the coloring pages provide an outlet for being artistic without the stress of wanting it to look like professional artwork, done by monks in the medieval times. This journal is a bit simpler than the Faith & Lettering journal, but if you’re not keen on practicing a new skill and just want to get on with enjoying journaling and the relaxing practice of coloring, this might be a good choice for you. The last journal in my profile is my favorite. 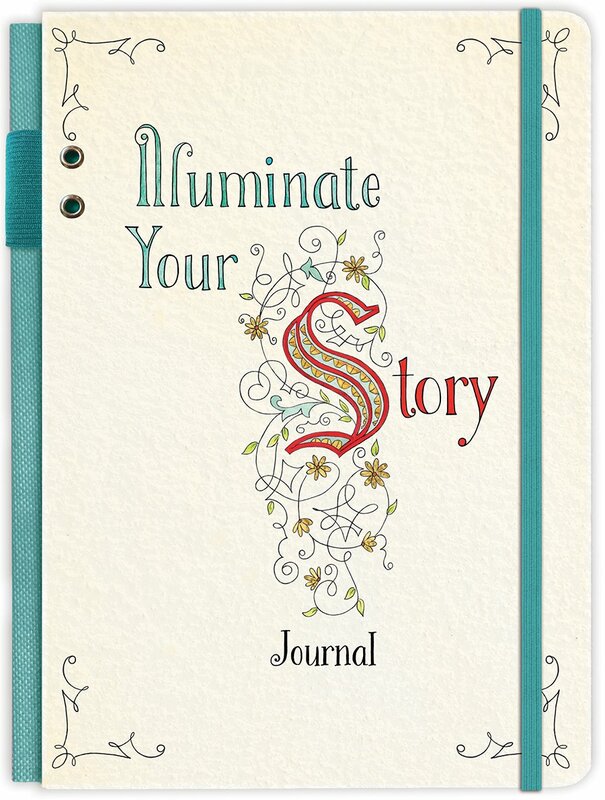 The Illuminate Your Story journal is much like the previous two, with the same kind of spine, covers and quality non-bleed paper. In contrast however, this book includes an elastic band closure as well as a bookmark ribbon. With its 6” x 8” proportions, it’s a tad smaller than the previous journals, which are about 7” x 9”, but its size is fine. 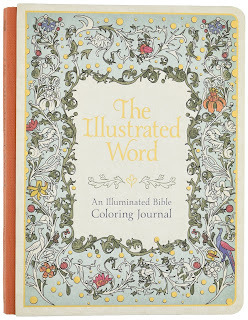 The book begins with an introduction and history of illuminated letters, which I found very educational and inspirational. The main journal pages are of different types. 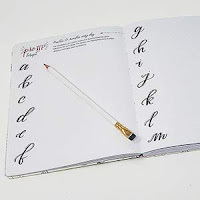 There are lettering pages where you can practice creating illuminated letters, commonly featured at the start of an ancient book or chapter. Some of these letters are fairly complex, but there are some simpler ones to start with. I think the letter “D” will suit me. All letters of the alphabet are represented. There are also blank pages for traditional journaling, with an inspirational quote or scripture verse printed at the top. 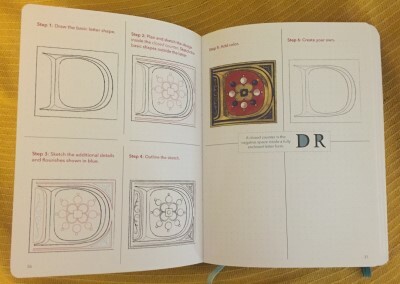 Like the illuminated practice pages, there is space allocated to practice “flourishes” or extra designs that can be added to your illuminations. These pages are good for non-artists like myself. There’s a Celtic knot on page 88 that I like, and if I get brave, I might try the “L” with peacock detail on pages 82-83. I adore peacocks, so the fact that there’s one on the letter “L” (for my name Laura) is just perfect! 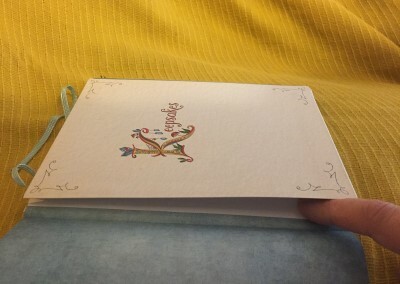 The final detail of the journal is a “Keepsakes” pocket on the inside back cover. I imagine you could keep photos, notes from friends or other small flat items inside. I thought this was a really nice, three-dimensional addition to the book. 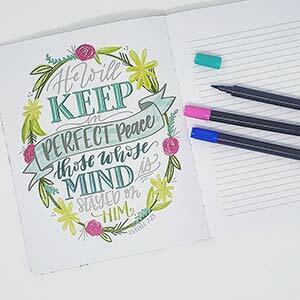 Even if you’re not journaling about your daily activities, all three of these products can be a wonderful resource in your personal quiet time. God is the ultimate Creator, and as we are made in his image, it’s natural that we can incorporate worshipful art into our devotional time. After experiencing these amazing journals, I took a peek at Ellie Claire’s other products on their website. 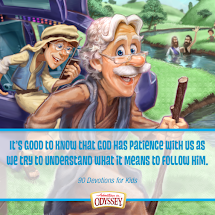 These books are just the beginning! 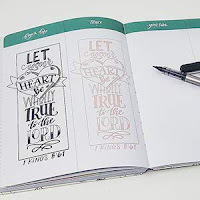 If you’re thinking about journaling, but the items I’ve reviewed don’t suit your taste, check out the many other offerings from Ellie Claire and Worthy Publishing. 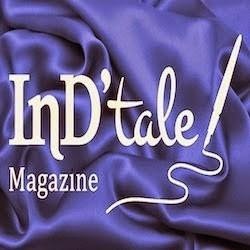 There are so many beautiful products! The illuminated Psalms journal was breathtaking, and as a bookmark geek, I couldn’t help but be impressed with their Scroll of Esther line. Journaling has been such a blessing to my life. Not only is it therapeutic, but it’s a fascinating time capsule to use in the future. You will be amazed at how many tiny, precious details can be retained by writing them down. By getting your words on paper, you preserve memories that might otherwise fall through the cracks of time. It’s really quite remarkable, to go back years (or decades) later and read about what your younger self was up to. You might be surprised at how much you’ve changed, and also how much you’ve stayed the same. I don’t know if my habits had any influence, but my younger son began journaling a few months ago. Like I was, he is also in the eighth grade, on the cusp of so many important years. I was thrilled that he showed an interest in the activity, and I hope he keeps it up for years to come. 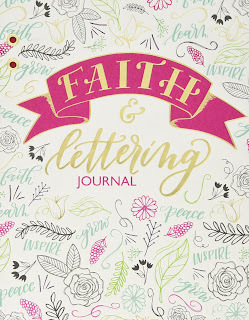 Regardless of whether you purchase one of these items (although you can’t go wrong with any of them), I hope you consider the practice of journaling. It’s never too late to start, and you’ll be giving yourself a gift this holiday season, especially with these fine journals from Ellie Claire.